Alcatel-Lucent Enterprise PBX’s offer a feature-rich unified communications suite from a global company with a reputation for award-winning innovation. This proprietary set of tools provides users and businesses with advanced telephony capabilities from dial tone to mobility, contact centre applications to collaborative communications. The range – including the OmniPCX Office and OmniPCX Enterprise, together with OpenTouch – combines voice and data solutions that integrate seamlessly, allowing your business to boost its productivity and agility. Alcatel-Lucent Enterprise boosts a portfolio rich in applications and telephony solutions for any environment or business vertical. 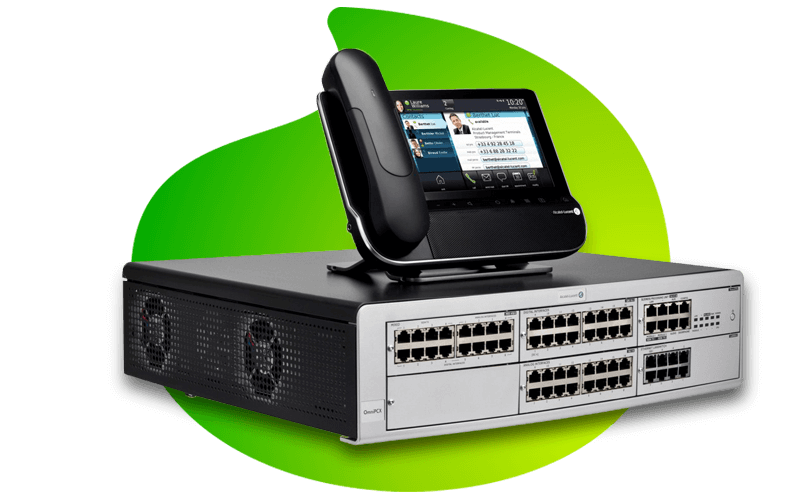 Alcatel-Lucent Enterprise offers a product range to cater for your voice, data / LAN and management requirements. Alcatel-Lucent Enterprise is a respected, market-leading brand in the telephony space who aims to deliver world class solutions and applications. Alcatel-Lucent Enterprise from Vox is available as a fully managed solution for on-site deployments. Unified Communications (UC) is the process in which all means of communication, communication devices and media are integrated, allowing users to be in touch with anyone, wherever they are, and in real time. These include: E-mail, chat, video, voice, presence, directory services, mobility and data.